This afternoon , I just wanted to make a quick meal with minimal cooking. Thought I'd keep it on the vegetarian side. All of the items here were served with toasted strips of Italian bread and accompanied by a good glass of red wine. My garden yielded lots of goodness this year. When the weather no longer was producing good vine tomatoes, I picked them and handed them over - several pounds in all - to my mom. She pickled them. Well, technically , these are more than just plain pickled tomatoes. 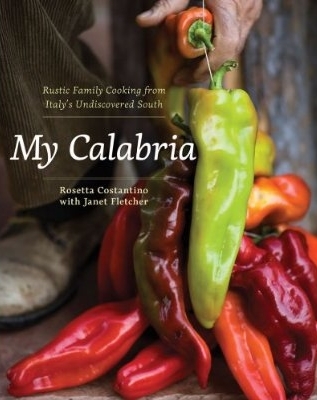 The recipe here is one from Calabria. The tomatoes are first cured with dry salt (1 day process) , then cured with white wine vinegar (1 day processed) and then finally place in olive oil as you can see from the picture. 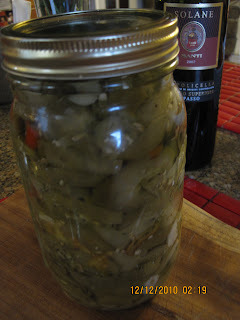 I have seen the same process used with string beans, okra, and eggplant. Fried Green Tomatoes ? NOT! 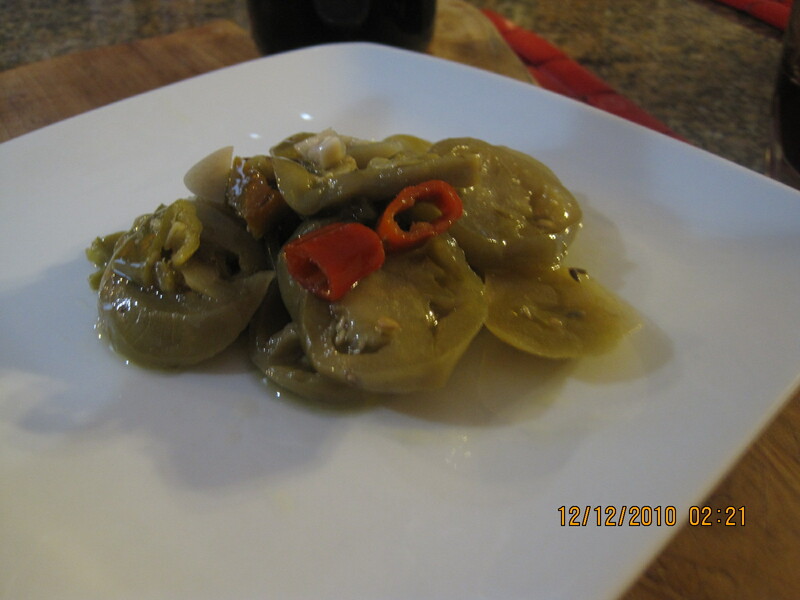 The seasonings that were used included hot chili pepper cut into small rings, fresh garlic, fennel seeds. These ingredients really combine well to produce a delicate taste that you always remember. Try this stuff on a hoagie. 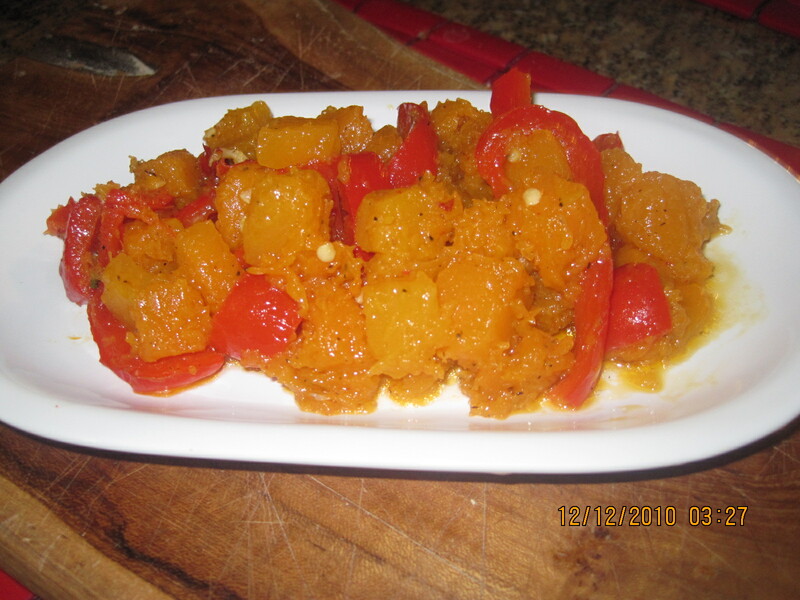 A variation on the dish , adds grilled cubes of Italian bread mixed in towards the end of the cooking process. Slices of Italian bread, rubbed with EVOO, S/P and grilled, is used to to make the bread cubes. Size the cubes similarly to the squash. 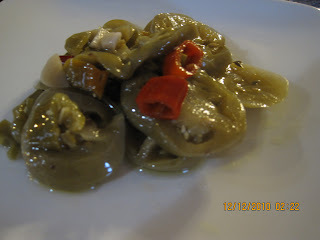 In case you were wondering, this dish too originates from Calabria. By the way , all of the above will make great tapas. Go ahead and experiment. 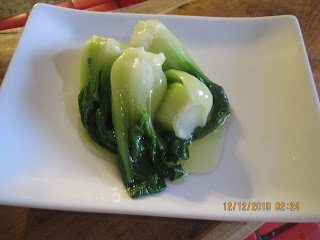 @mickstermfb I'm amused to see baby bok choy on your blog, as I'm not expecting to see Chinese ingredients in your cooking. 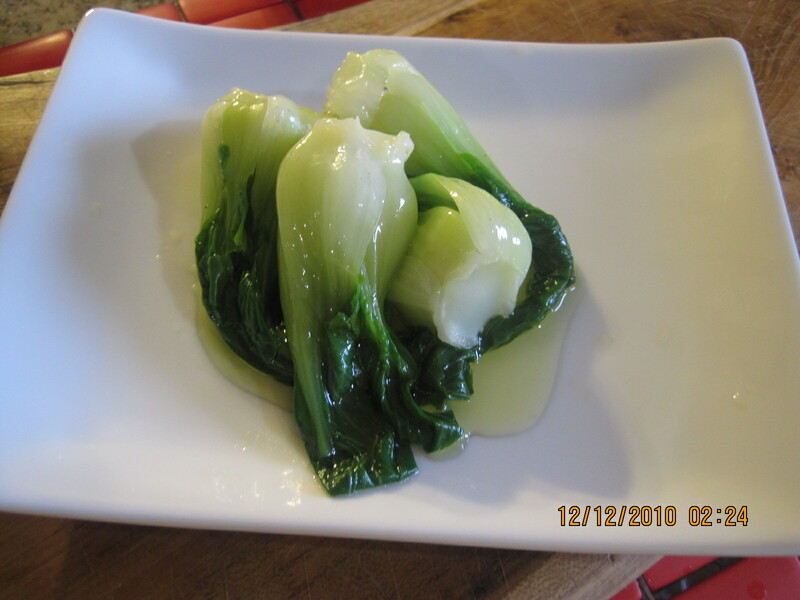 In the 1990s, I was surprised to be served bok choy in Holland, at a small hotel while we were on a rural bicycling tour. I guess it's easy to grow, and relatively mild in taste. I prefer Shanghai bok choy, or even better, young mustard greens.